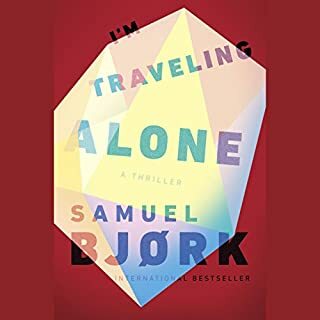 The thrilling follow-up to Samuel Bjørk's internationally best-selling I'm Traveling Alone, which The Wall Street Journal calls "tense and smartly constructed". 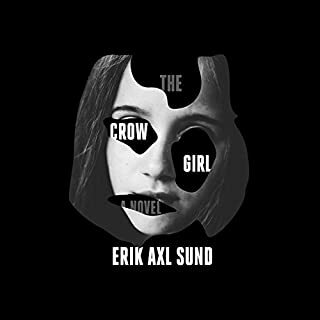 When a troubled teenager disappears from an orphanage and is found murdered, her body arranged on a bed of feathers, veteran investigator Holger Munch and his team are called into the case. Star investigator Mia Kruger, on temporary leave while she continues to struggle with her own demons, jumps back on the team and dives headfirst into this case - just in time to decode the clues in a disturbing video of the victim before she was killed, being held prisoner like an animal in a cage. Meanwhile, Munch's daughter, Miriam, meets an enticing stranger at a party - a passionate animal rights activist who begins to draw her into his world and away from her family. It was exciting at the end. I kept wanting to stop all the time but I stopped myself, until finally I got into it and did not want to stop. I had guessed what might happen but still it was very exciting at the end. Now I am so into it that I might read the others. Although this is part of a series, it can be read alone because enough of the last book is repeated for context. I tire of books where the main characters home lives become part of the mystery (and this is too common so I deal) but rest of this book is good enough to overlook that detail. The book is riddled with complicated characters and twists. The mystery unfolds, almost solving itself instead of through some master mind detective work, and when it starts it's impossible to put down. The problem with series books is when they start to repeat. I loved book 1, and I loved Mia. But I don't want to keep going down the same hole with her. She needs to progress. I hope his next book shows that like many other in this genre. Liked the book but it wasn't nearly as good as his first in the series. Left me figuring that the ending was just an opening for the next. If you could sum up The Owl Always Hunts at Night in three words, what would they be? Mia is fascinating, but there are so many tortured female police officer characters out there now that I think I'd choose Munch. I can't say without giving away some plot. No, because I had it figured out pretty early on so I wasn't compelled to read it all at once. Bjork is becoming one of my favorite new authors. Wow, just WOW! What a GREAT Murder Mystery! I highly recommend this book. Bjorne is a very talented author and Paton is very gifted as well. Together they have made a very entertaining listen. As the story unfolds I was captivate and I stayed up all night to finish listening. The first book is good but I liked this book better. Make sure to read the first book, I'm Traveling Alone, first as the characters are developed very good and the second will make more since. The plot in both books are complex and told wonderfully. This story line is unique and the mood matches the cover perfectly. 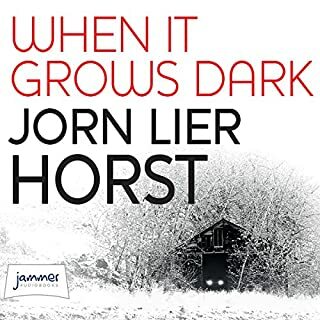 If you prefer the plot to be less imaginative then you might think this story is a little too weird, but I really think this book is now one of my favorites. The story is not very gory but gritty enough to satisfy if you like the darker side. 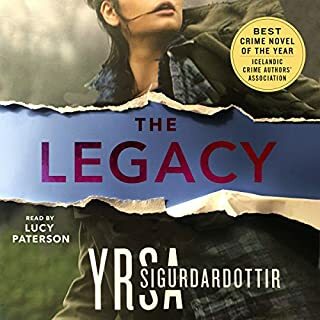 The narration is fantastic, both female and male characters are handled well with a rich voice that is easy to listen to. Her tone, pitch and emotional expression is great. I can't say enough about her skill. 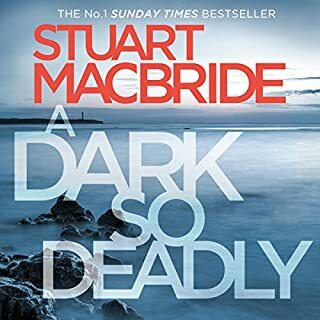 This is a good series, with complex characters, in a moody climate. Norway darkness. It is not a happy ever after series, but realistic. Have you listened to any of Laura Paton’s other performances before? How does this one compare? She is very good, only listened to her in the first of this series, she never gets in the way of the story. No, actually, it gets heavy at times. 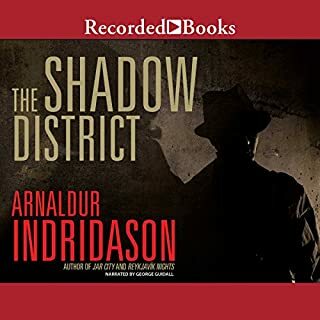 Normally, I like a good mystery, thrillers are not my favorite but I do like this series. What did you like best about The Owl Always Hunts at Night? What did you like least? Listened to the first book, I'm Traveling Alone. 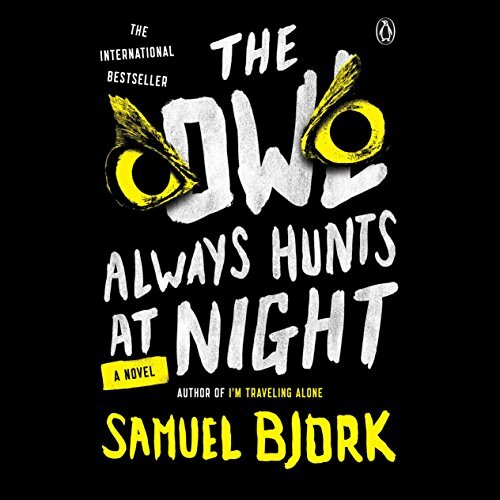 Overall liked it, so got this book, The Owl Always Hunts at Night. The story line is interesting, strange, but interesting. As the story goes on, I found the two main characters become more and more annoying. Also, as with the first book, the are many characters involved in the story line, but they just disappear at the end. There is no resolution. They're not even mentioned at the end. Laura Paton (sp?) is excellent! The story is also interesting, though there were some unresolved strands, and I still think Marion, Mariana, and Marian or whatever are really dumb names to put into one family...come on.